Billiards geniuses are not born, they are made. And you can make yourself into a billiards shooting genius with regular practice. Neither opponent nor coach is necessary with the regular use of a helping training ball. 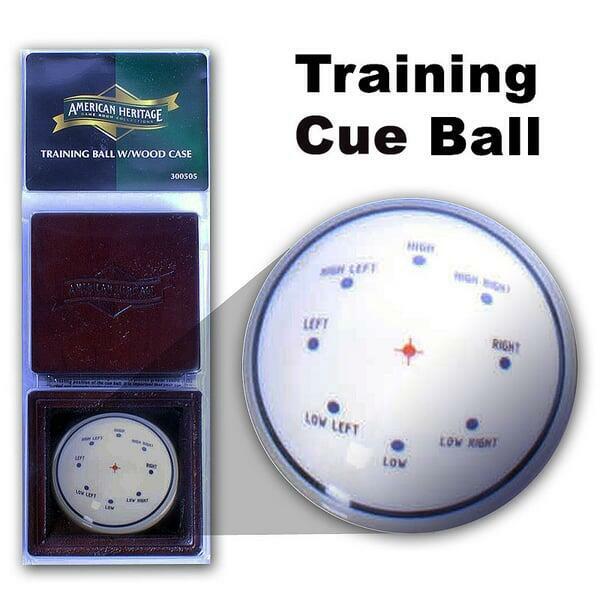 The Training Cue Ball by American Heritage is an invaluable billiards accessory that is marked to help you learn where and how to hit a pool ball to get it to go where you want it to go. Learn exactly where to hit to draw, curve, fade and how to position your cue for precise play on every shot. Improve your long shots, short shots, breaks and jumps. American Heritage demystifies the process with the clearly labeled training ball. Now, it’s up to you to practice.